The official poster is out for the Hank 3 show! 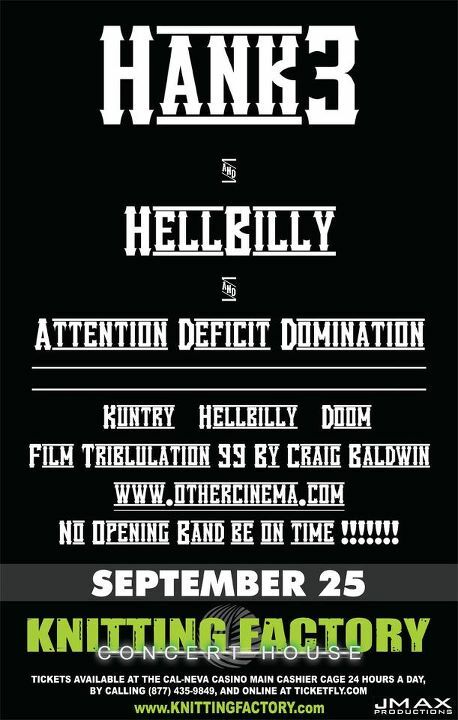 I’ll be staying for the Hank3 part, and the Hellbilly part. I’ll have to see about ADD. I’m not sure how much I’m going to like the “Doom” music.